Update: I added new items to the Collectibles, Sporting Goods and Electronics Page. I expect to add more items shortly, please stay tuned. 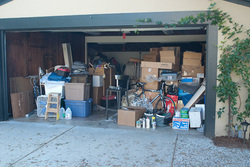 I am located in Burlington, MA and have a continuous variety of items for sale from cleaning out my garage. Please take a look through the selections and contact me for details, questions or to arrange a purchase. I can provide specific information on any item such as condition, dimensions, materials, etc. All items are located in Burlington, MA and ready for pick-up. Shipping is available on some light items such as books, dvd’s, etc. Generally, you can arrange to view and purchase items weeknights and weekends. If you like bargains, this is the place to search. I will continue to add new items as they become available. Be sure to check my Collectibles Corner page for vintage items on sale. Click on my robot friend to view the latest.